2019: Who's "Favoured" To Get PDP’s Presidential Ticket? 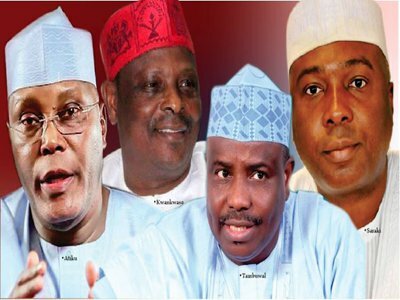 Ahead of the national convention of the Peoples Democratic Party (PDP) scheduled for October 5 and 6, where the party’s presidential primary will hold, the list of aspirants is getting longer, with strong contenders and some pretenders. As it stands, who's the man favoured to emerge winner? The Nation's assistant editor, Leke Salaudeen examines the chances of major aspirants in the shadow election. The search for the presidential flag bearer of the PDP for next year’s presidential poll is gathering steam. The National Executive Committee (NEC) has fixed the party’s national convention for October 5 and 6. The battle for the party’s presidential ticket is likely to be a stiff contest. The major contenders for the party’s ticket are: former Vice President Atiku Abubakar; Senate President Bukola Saraki; Senator Rabiu Musa Kwakwanso, etc. All the aspirants are from the North, because the party two years ago zoned the ticket to that part of the country. Analysts believe that the PDP would not compromise on its zoning arrangement. They recalled that the failure of the party to pick its presidential candidate from the North was largely responsible for its defeat in the last presidential election. One of them said though the contest is open to every Nigerian, the party has resolved to stick to its zoning arrangement this time around. A new twist was introduced by some PDP stalwarts who are agitating for the micro-zoning of the ticket to the Northeast. They argue that the Northeast should be allowed to fly the party’s flag in the 2019 poll, since it is the only zone that is yet to contest the presidency in the region. Besides, they believe that since President Muhammadu Buhari who hails from Northwest is likely to clinch the All Progressives Congress (APC) ticket, ceding PDP ticket to Northeast will make the contest very keen. It was against the backdrop of agitation for micro-zoning that Atiku recently visited Dankwambo in Gombe with a view to averting the fate that befell the Southwest zone over the PDP’s national chairmanship. Before the last national convention, the party zoned the chairmanship position to the South. Attempts were later made to have the party micro-zone it to the Southwest. But, it failed because the party’s leadership insisted that the position taken at the convention could not be altered or reviewed by any other organ. Atiku in his meeting with Dankwambo canvassed the need for the Northeast zone to present a single candidate and go to the convention as a united front. Apparently asking Dankwambo to step down for him, Atiku said the zone should avoid anything that would make the PDP presidential ticket elude it. But, the idea of micro-zoning the ticket to the Northeast has been rebuffed by some aspirants. In his reaction, former National Caretaker Chairman, Senator Ahmed Makarfi, said there was no decision to that effect and that aspirants are free to canvass for votes. Makarfi said he was busy marketing his programmes, not to only members in the country, but to Nigerians in the Diaspora. National Chairman, Prince Secondus, said the decision as to who flies the party’s presidential would be decided by the party members, stressing that nobody would dictate to the PDP. The former Vice President is an experienced politician with huge financial chest to pursue his political ambition. Atiku’s first foray into politics began in the early 1980s when he worked behind the scenes on the governorship campaign of Alhaji Bamanga Tukur who was elected governor of the defunct Gongola State (now split into Adamawa and Taraba States). 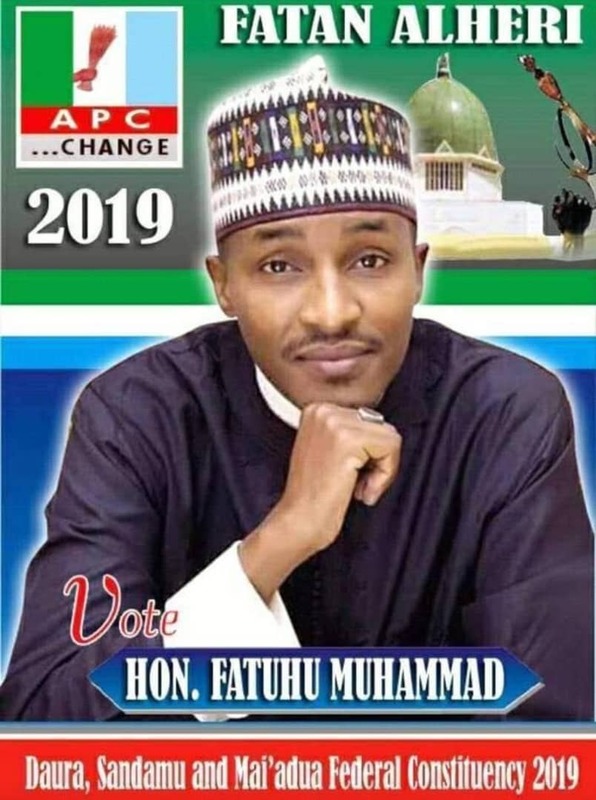 Towards the end of his career in Customs, he was drawn by the late General Shehu Musa Yar’Adua into People’s Front (PF), a political association led by the late retired Army General. In 1989, Atiku was elected National Vice Chairman of the PF. In 1991 he won the Social Democratic Party (SDP) ticket to contest governorship election in Adamawa, but he was disqualified by the General Ibrahim Babangida-led military administration. In 1992, he contested the SDP presidential primary which was won by MKO Abiola. He stepped down for Abilola in the run-off and asked his supporters to vote for Abiola, hoping that the latter would pick him as his running mate. But, after winning the SDP ticket, Abiola picked Baba Gana Kingibe as his running mate. Atiku contested Adamawa State governorship on the platform of the PDP in 1998 and won. But before he could be sworn-in, he was named as Chief Olusegun Obasanjo’s vice presidential candidate. They won the presidential election in February 1999 and Atiku was sworn-in as Nigeria’s second democratically elected vice president on May 29, 1999. Atiku’s second term as Vice President was marred by a stormy relationship with President Obasanjo. His bid to succeed Obasanjo did not receive his principal’s support. He decided to run for presidency in 2007 on the platform of the Action Congress of Nigeria (ACN). He was initially disqualified by the Independent National Electoral Commission (INEC) on the grounds that he had been indicted for financial misconduct by an investigation panel set up at Obasanjo’s behest. However, the Supreme Court ruled that INEC had no power to disqualify candidates and ordered that Atiku’s name be restored on the presidential ballot. He returned to PDP after 2007 presidential poll which he lost to the late Umaru Musa Yar’Adua of the PDP. In 2014, Atiku and some aggrieved members of the PDP stormed out of the party’s national convention to elect the party’s presidential candidate. They formed what they called new PDP. The splinter group merged with the All Progressives Congress (APC). Atiku contested for APC presidential ticket which was won by President Muhammadu Buhari. Atiku had returned to the PDP ahead of 2019 presidential election. He had declared his ambition to contest for the PDP presidential ticket. To observers, Atiku is very desperate to become Nigeria’s president as he keeps moving back and forth, joining, leaving and rejoining political parties. A former Federal Commissioner of Information, Chief Edwin Clark, once described Atiku as a desperate politician that would go to any length in his quest to rule Nigeria. Analysts say Atiku’s ambition is threatened by Obasanjo who has vowed to work against him. Obasanjo said he would give up his support for the PDP, “if Atiku gets presidential ticket”. He added: “He is not qualified to lead, but he cannot lead me.” Besides, Atiku’s position on restructuring has pitched him against the northern establishment. A statement credited to him that all issues raised by the leader of the outlawed Indigenous People of Biafra (IPOB) Nnamdi Kanu must be addressed for peace to prevail had been interpreted as tactic support for the Biafra secessionists. It has whittled down the popularity of Atiku among his kinsmen. Saraki is yet to declare formally for the PDP presidential ticket. But, sources within his camp have confirmed that he will try to run for the office in 2019. Since the pronouncement of the Supreme Court that cleared him of under declaration of his asset, he appears to have become morally emboldened to rev up his presidential ambition. He has embarked on nationwide consultation. This development, the source said, surprised Atiku Abubakar who had relied on Saraki’s support for his presidential ambition. Kwankwaso had the first shot at presidency in 2015, when he contested for the APC presidential ticket, alongside President Buhari, Atiku and others. He came second, while Atiku emerged third. Kwankwaso was considered as an underdog in 2015 because his political influence was limited to Kano. Kwankwaso also defected from PDP to APC in the build up to the 2015 general elections, like Atiku. He recently returned to the PDP to actualise his ambition. Observers say the senator had expanded the activities of his political pressure group, the Kwankwasiyya Movement, across the country as part of his presidential campaign strategies for the 2019 general elections. The Director General of Kwankwasiyya Foundation, Alhaji Surajo Habibu Tsafe, said the movement has freed over 2,000 prisoners with minor fines in the 19 northern states, while plans were on to free over 2,000 inmates in southern states. Besides, Kwankwaso through the movement had donated relief materials to victims of herdsmen attacks in Benue State and Hausa-Yoruba crisis in Ile-Ife, Osun State, while similar gestures were extended to internally displaced persons (IDP) in Borno, Yobe and Adamawa. Kwankwaso like other aspirants has also been holding meetings with PDP governors, party chieftains and various political groups across the country. Analysts say though Kwankwaso’s political base has expanded, compared to what it was in 2015, but it is still limited in scope, as it appeals only to northerners living in the south. They advised Kwankwaso to look for political allies across the country to broaden his political base or come up with new strategies that would make his political ideology acceptable to every citizen, irrespective of tribe or religion.